Hamasaka Ancestry Memorial Hall "Imeitei"
The Imeitei Ancestry Memorial Halls is the former house of the Mori family, who ran the Shichikamaya sake brewery. The house was converted into a museum for the public. 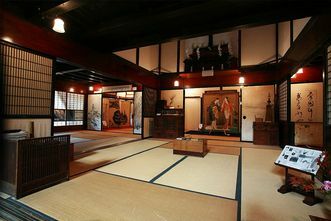 Above the entryway are curtains with the Shichikamaya crest and when you pass through them, it is like going back in time to the Edo period of Japan. Attached to the main house is a community terrace, where you can take in the atmosphere and retrace the footsteps of the past. 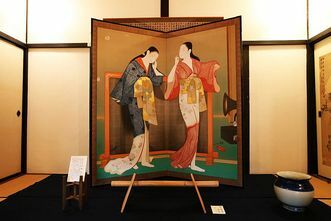 There are many historical and cultural artifacts on display, and you can learn about the ancestors of the Mori family. 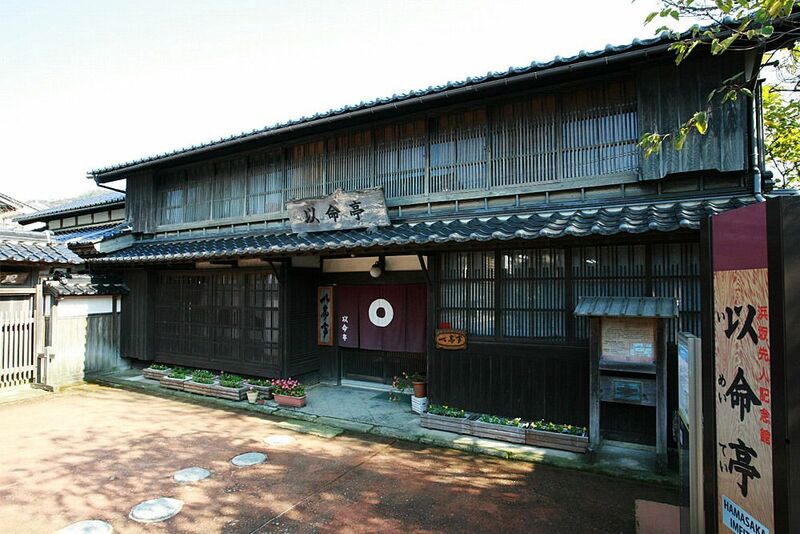 The Imeitei Hall also displays the sake brewery's history, with special exhibits and a poetry monument for Ranbi Mori. The museum has a beautiful garden in front of the main house that has a structure preserved by the Hyogo government as an important building. 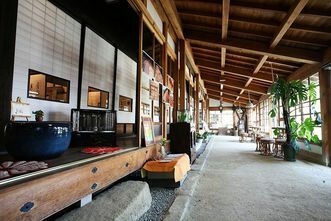 Railroad goods hall: "Tetsuko no heya"
Visit Shinonsen >Things to Do>Sightseeing	>Hamasaka Ancestry Memorial Hall "Imeitei"
Feel the history and culture of Shin-onsen's hot springs. Enjoy the meat of Kobe beef calves nicknamed "Tajima Beef"
Copyright © 2019 Visit Shinonsen, All rights reserved.